Educational Memorial Programs (EMPs), also known as Willed Body Programs, offer veterinary colleges an alternate, ethical source of cadavers for teaching purposes, as well as provide owners with a special opportunity to support the training of future veterinarians with the donation of their deceased animal. Using animals received through an educational memorial program is a valid alternative to using animals that were euthanized for reasons other than terminal illness and can address ethical concerns expressed by students, faculty and the public, and further promote animal welfare. Animals donated to an EMP should have died of natural causes or have been euthanized because of illness in order to be considered ethically sourced. Dr. A. Kumar, head anatomist at Tufts University, employs 2 or 3 students part-time to assist in embalming donated animals. He reports that it only takes one day to train a student to embalm cadavers, and it takes about two hours to embalm a dog. According to Dr. Kumar, there are no problems associated with embalming donated bodies 2-3 days after euthanasia, as long as the cadavers are refrigerated. Therefore, the staff does not need to be available on short notice to pick up donated cadavers at the teaching hospital or local clinic. At Western University, 2 staff members manage the donation program on a daily basis while also handling other duties. There is a steering committee of 7 members that assists in determining suitability of possible donors and the future of advancement of the program, as well as handling any ethical dilemmas or questions should they arise. The cost of running a donation program is less than that of obtaining cadavers from a biological supply company, and comparable to the cost of an in-house embalming operation using animals from other sources. The majority of veterinary colleges already own embalming equipment and thus will have minimal start-up costs in implementing a donation program. If a school does not embalm animals on-site, there will be modest costs to obtain the embalming chemicals and tools, depending on the set up and number of animals. Other costs include production of euthanasia brochures, client consent forms for donation of pet remains, and possible transportation costs if local veterinary hospitals are included in the donation program. Create a standard operating procedure for the program, from procurement of the body to final disposal. Take into consideration the staff and vehicle requirements for transportation from an off-site location, which department and staff will be responsible for receiving and storing the body upon arrival, which designated parties will be involved in the embalming process, and where the embalmed body will be stored and how it will ultimately be disposed of. Regulations for disposal vary from state to state and it is recommended that state authorities be contacted. Cremation is a standard means of disposal at several universities. Determine the range of surrounding clinics you'd like to include in your program and communicate your plan with them. If they are interested in participating, discuss which clinic personnel will be involved so that communication with the veterinary college runs smoothly when a client gives consent to donate their animal. Submit a protocol for animal use to the Institutional Animal Care and Use Committee (IACUC). Institutional policies typically specify that IACUC approval is required for the use of all animals, even deceased ones. The Tufts model is a helpful guide. Consider a way of honoring the human-animal bond the client and pet shared and acknowledging the generous gift of the body donation. 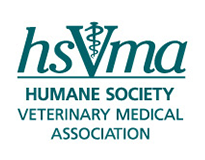 HSVMA has a limited number of grants available to help start up or better promote a body donation program at your veterinary school. Please contact Pam Runquist, Director of Veterinary Advocacy, if you are interested in this program. For additional information about EMPs, please contact these sources. 1. Kumar, A.M. (Professor, Biomedical Sciences, Tufts University School of Veterinary Medicine). E-mail to authors. "Re: Body Donation Project." May 2000 - December 2000.